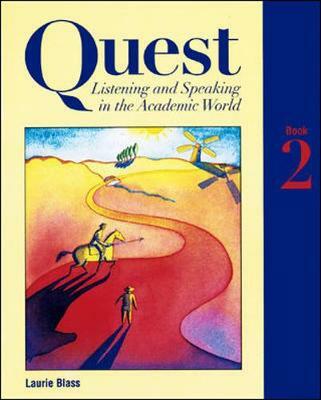 Chapters in the "Quest Listening and Speaking" books follow a consistent 5-part chapter structure that builds in difficulty and blends listening and speaking skills within the context of a particular academic area. Part One introduces the chapter topic with a short reading, discussion questions, and a journal writing activity. Part Two, Everday English, features practice in listening to conventional English. These lively conversations and interviews appear on video as well as audio cassette, and feature a group of college students in a variety of different situations. Part Three, The Mechanics of Listening and Speaking, contains contextualized practice in areas such as stree and intonation, pronunciation, and language functions. Part Four, Broadcast English, features authentic radio pieces from well known sources such as NPR, Christian Science Monitor, and Marketplace. Part Five, Academic English, features authentic college lectures. As students listen, they gain valuable practice in note-taking skills.